I just love adding a little kick to my meals. I don’t know if that is the Latina in me, or just the fact I like things spicy! Before I get to far into this post though, I need to make one little confession. I am not the biggest fan of jalapenos. There I said it, I would much rather prefer a Fresno chili than a jalepeno. But everyone else in my household just loves the jalapeno. So this little pepper is loved so much that we have a sweet little one (term of endearment) that is out by the pool! 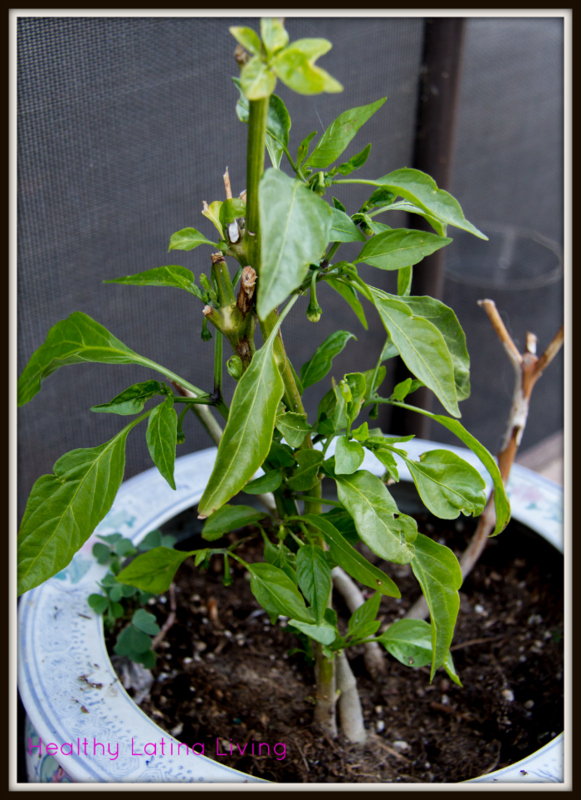 We planted her last year, and bless her little green leaves, we think she will produce more peppers this summer. I’ve named this plant Juanita the Jalapeno! Jalapenos, depending on how hot the jalapeno is, either slice the pepper being or cut lengthwise. If you want a lot of heat include seeds! Skewer with bamboo, if placing on bar-b-que be sure to soak bamboo at least 1 hour in water. Cook or BBQ for 10-15 minutes, turning every 5 minutes.